Yes its time for another edition of Spin Fest at Cross & Woods! Alex ( Under Dutch Skies) may have returned home to America, but we have found a couple of new suppliers to fill those big shoes that she left! Who will be suppling the spinning fibre???? The Spin Fest will be 8 April from 12.00 to 17.00 and everybody is welcome, from beginners to advanced, from spinners who use a wheel to drop spindle users, and to people who just want to see how everything works or want to learn everything about fibre. 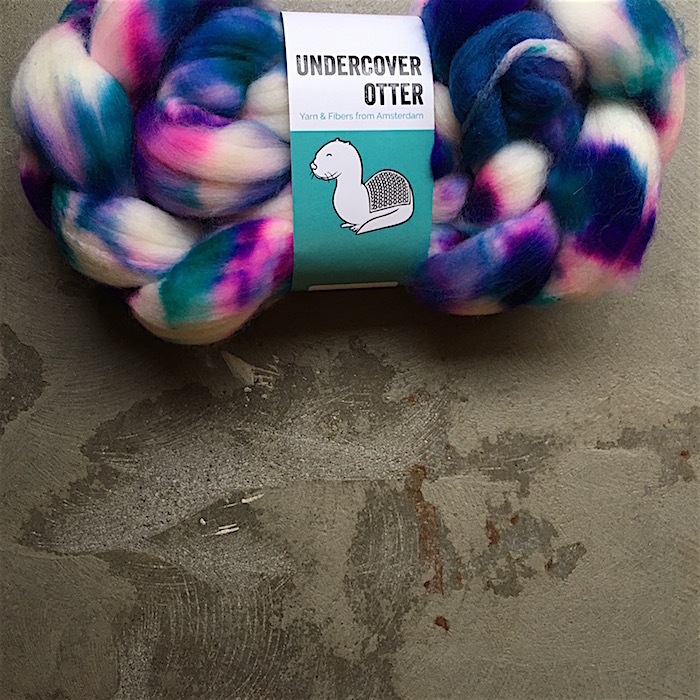 On hand will, also, be indie dyer -Under Cover Otter! 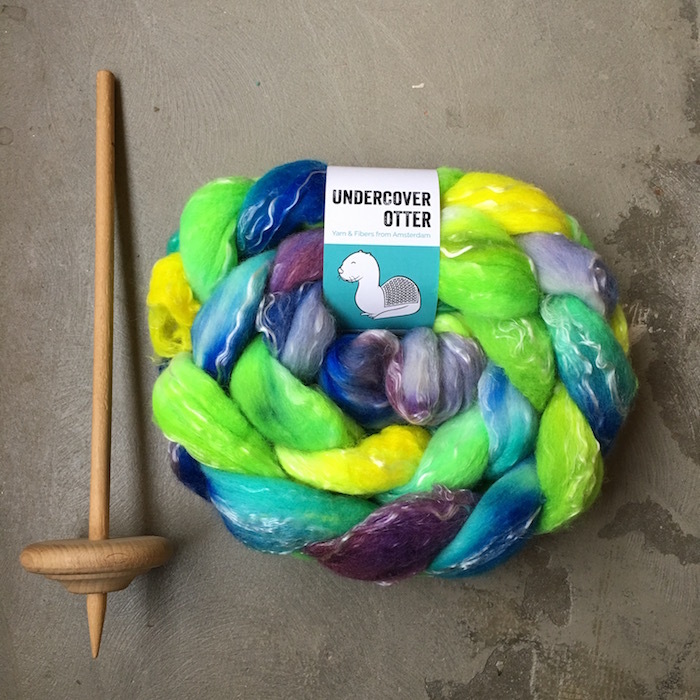 Yes, we will be selling her wonderful, crazy coloured hand dyed fibres. Petra is based in Amsterdam and has been doing all things fibery since 2011 from hand dyed fibre to yarn often inspired by horrible horror films! 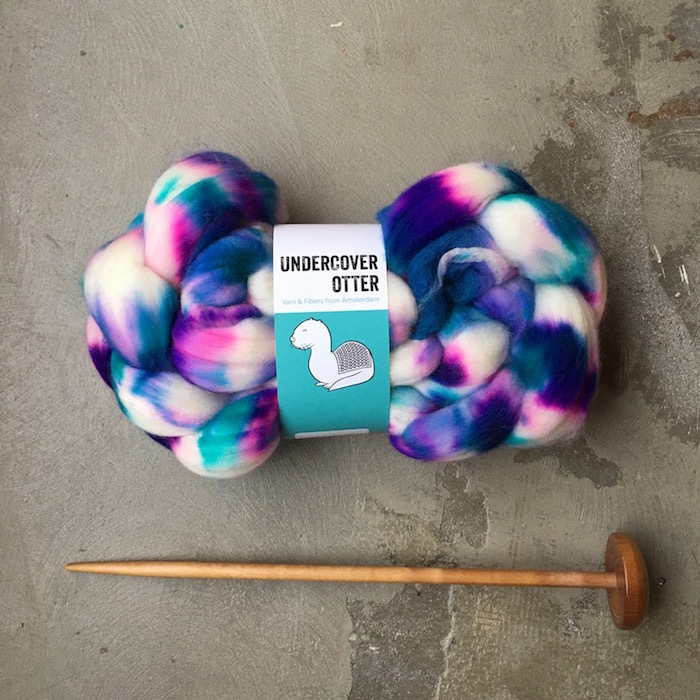 You can check her out at her online store https://www.undercoverotter.com. Petra has been given a free had to dye what she would like for our Spin Fest , we hope after this, her hand dyed fibres will be a permanent fixutre in the store, it will most certainly be crazy colours, no soft whishy washy colours here! 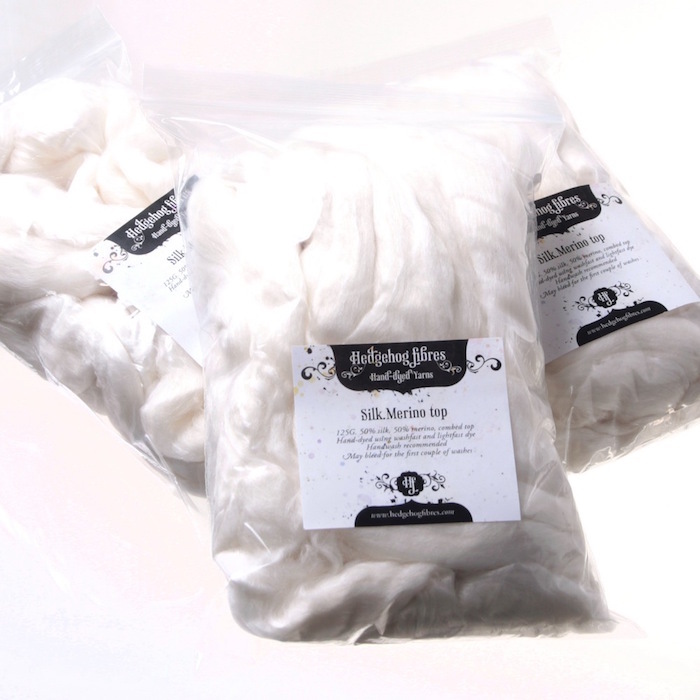 Our second new dyer is Hedgehog Fibres hand dyed tops!! We are very excited and can’t wait to see what they sent to us!, the one thing we know for sure is that there will be sparkes!! It is dyers choice so lets see what amazing colours they come up with for us!